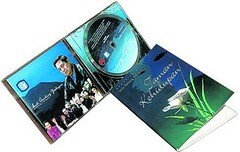 It was really ‘cool’ to read that Indonesia President Susilo Bambang Yudhoyono recently launched his own music album- Rinduku Pada Mu (My Longing for You). Furthermore, the album which contains 10 songs are mainly ballads based on peace, love and friendship. Though I have not listened to his album, I am very encouraged how he has used his marketplace’s position and influence as a politician to impart something of God to minister to his nation. An interesting fact was the title track, Rinduku Pada Mu, which he wrote in April last year, was written just two years after he became president. At that time, he had to deal with a string of natural disasters in the country. Another song which he wrote in Sydney after attending the Apec meeting last month is Mengarungi Keberkahan Tuhan (Seeking God’s Blessings), which was his prayer to the Almighty for divine guidance. Though I read that critics have scoffed his album as PR tactics towards his presidential election campaign for 2009, but I still think it doesn’t matter what’s his real agenda is. Cos what’s more importantly is that God’s Name is communicated. For those who preach out of envy and rivalry, they already have their rewards – praise from their fellow people. For those who preach out of goodwill, out of love for God, their reward is in heaven. Our Heavenly Father is a Father who reward those do good out of love. In the old days, a rabbi receive wisdom freely from his mentor, he will then pass down to another generation freely. Same with Gospels, freely you received, freely you give. The most important ten commandment, is Love the Lord your God, with all your heart, all your mind, all strength. Then Love your neighbor as yourself. The second commandment is that because God know that if you really love your neighbor, then you will not do nasty thing record in rest of commandment upon them. Jesus say, How can you claim you love God, and don’t love the people around you. He say to Peter, Do you love me? … Feed my lamb.